Our room was spacious and beautiful. Everyone from desk to dinner were very pleasant and efficient. Will be back. The staff was very friendly and helpful. The Check-in and Check-out was easy and fast. Free water, coffee and tea in the room. The wifi was free and working without any problems! Nice bar to enjoy a good drink. We liked the location, the comfort and the honesty of the hotel - new owners, new management, ongoing refurb - we do not mind supporting this by staying overnight! Despite ongoing work, we did not get any disturbance. We found the hotel peaceful and relaxing. Just want we needed after a long day's drive. The hospitality and warmth of the duty staff were genuinely felt and despite the historic negative reviews (and some new comments), we found our hotel stay and food very good. We look forward to returning. Well done to the new owners/investors! location for where we wanted excellent. undergoing renovation (as many signs explained this) so perhaps the rooms were not up to scratch, but allowed for this. however, would have liked to have been advised that a wedding party was there (when we made the booking as this may have made us look at other places)- for whilst this had no real impact (as no noise etc ), we had booked parking which I had assumed that all booked parking would have been close to the entrance - apart from being asked our registration number, this was all that was asked about where we had parked - and although not far away, I am slightly disabled, and thankfully the weather was ok as I fear that slippery weather etc would have made my walk to the entrance a bit of a problem. Friendly staff. Nice breakfast. Comfortable bed and everything clean. Staff were superb and couldn’t do enough for us. Great price too. Had a fab nights sleep in the four poster bed. Food was also very good. Credit to the chef. Close room from the entrance, lots of available parking, beds comfy. Great breakfast, good location for visiting the vineyard in Holmfirth. Good price. Nice bathroom. Faded and in need of refurb but clean and bed was comfortable. Staff were very friendly, but this is not The Ritz!! So service is well meant but clunky! Someone in the kitchen knows what they’re doing, the food we ate in the evenings was hot tasty and plentiful. Value not luxury. Durker Roods Hotel This rating is a reflection of how the property compares to the industry standard when it comes to price, facilities and services available. It's based on a self-evaluation by the property. Use this rating to help choose your stay! Each room at Durker Roods Hotel is traditionally furnished, with a tiled bathroom and fluffy towels. There is also a TV in every room, and facilities for making tea and coffee. Guests can dine in Oscars Restaurant, or enjoy light snacks and hearty meals in David Brown Bar and Lounge. The property also has a beauty salon where you can enjoy various treatments. The Durker Roods is on the edge of the Peak District and the Last of the Summer Wine was filmed in nearby Holfirth. The picturesque National Park can be reached in 10 minutes’ drive. 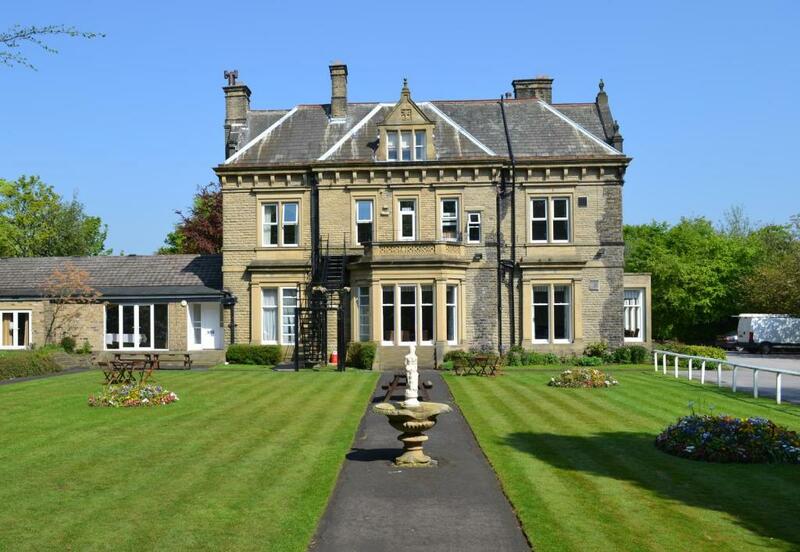 When would you like to stay at Durker Roods Hotel? This room is decorated using neutral colors and furnished with warm wooden fittings. It features free Wi-Fi, a TV and a modern private bathroom. This room features free Wi-Fi, a TV and an private bathroom. Please request a double or twin at time of booking (subject to availability). This spacious room comes equipped with free Wi-Fi, a TV and an private bathroom. House Rules Durker Roods Hotel takes special requests – add in the next step! Durker Roods Hotel accepts these cards and reserves the right to temporarily hold an amount prior to arrival. There was nothing not to like because the hotel was transparent from the start that it was going through some work. The ongoing work did not disturb us so if you don't accept this, then you must find somewhere else to stay. This hotel was most convenient to our business trip. the breakfast - not how good it was etc - however, we decided to take breakfast as we were told that it was served from 8.00 in the morning (Sunday) which would suit us fine as we were due to be off as soon as we could and would have stopped for breakfast on our travels, but as we believed it would be at 8.00, that would be fine. however, despite being down for breakfast at 8.00, the full English etc was not actually ready until 8.25 - I had already given up and settled for toast and coffee (which on reflection was overpriced at £6.95 for just toast & coffee), my husband wolfed down what he could and what was available (which as there were only 5 eggs ready, he was lucky to get one of those). WiFi signal in my room lacked strength often. Shower water pressure was weak. The hotel is undergoing some work which we knew about before we came (new management) but it didn’t spoil anything really, there is a lot still to do however we look forward to coming back when it’s finished. I was extremely disappointed to find out the building was under refurbishment when we arrived, i think this should be made known at the time of booking. The price did not reflect this. The breakfast was also very basic with awkward buffet layout and not very nice. Poor scuffed decor in room. Empty and echoey. Toilet seat broken, mould In empty bathroom body wash dispenser in shower (although small bottles were provided) radiator leaking in bathroom. No mattress protector. Bits of mop material caught on chair legs. The noise from the external door slammed repeatedly throughout the evening and night. Then woke us early morning when ppl going for breakfast. The teapot at breakfast was stained and when myself and my partner went for our food there were only two eggs left and they were like rubber. The room was cold and uninviting. No fore mention of the ongoing redecoration of the passageways. Reception did give free breakfast when we mentioned the slamming door. But unfortunately it was too late we left very tired due to lack of sleep and disheartened .. spoiled our weekend.what a let down - inside does not live up to outside. I wouldn’t recommend or return. Friendly welcoming staff. Great reception rooms. Layout of twin room could have been improved - bed next to radiator made that bed hot & rest of room cold. Furniture in bedroom very cheap looking & mismatched. Mattress with spring pushing through. Housekeeping forgot to service our room, but was rectified promptly. Ambience in the bar is truly awful. Dingy, dark and uninviting. The bar menu has been deleted so no light snacks or meals available, but they did serve the restaurant menu in the bar on request. It took 10 minutes to check in, with various members of staff busy doing other things, But they were very Helpful when they eventually got around to it. The shower was very weak, rather like standing under a dripping tap, but the water was hot. Location was excellent, rooms were clean but basic, very helpful staff, but obviously stretched. Really good food and very good value for money. Some cobweb removal is required although generally clean. Excellent location and very pleasant staff. Very good breakfast at a reasonable price. There wasn't anything I disliked the staff very friendly and helpful . Lovely Hotel couldn't fault it ,but could do with extra blankets in rooms ,especially this time of year .Other wise great place to stay value for money . Dilapidated and old fashioned. Needed a renovation to modernise or at least freshen it up if they wanted it to “feel” old. The grounds were also not as expected - fencing had fallen down and it wasn’t all that tidy. £15 per night for a dog seemed a little much seen as though we had to sit separately to everyone else for breakfast and had no “dog facilities” including no external bins for any waste in the morning. The photos online make it look a lot nicer than it is in person -a bit of a “Catfish”. Although for £45 per night, it was clean and staff were friendly, if a little unknowledgeable about the area (walks, dog friendly pubs (there is only 3), etc...).